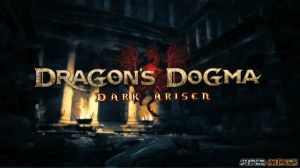 Dragon’s Dogma Dark Arisen is a re-release of the original Dragon’s Dogma game with numerous new content including new enemies, quests, location, equipment and character customization options. Old players can import/ start new game+ with their old characters and start with the new, challenging location called Bitterblack Island. Here, players are pitted against deadly, new enemies never before seen in mainland Gransys. The labyrinth is deep and challenging so it is not recommended for underleveled and under-equipped players. Enduring players shall find quality Bitterblack cursed items that can be cleansed at a cost of rift crystals. This guide will assist you with the main game quests, as well as a full guide in exploring and surviving the unforgiving labyrinth of Bitterblack Isle.